You are here: Home / Climate / Sea level sanity returning? The previous Labor government in New South Wales slavishly followed the IPCC’s alarmist predictions for sea level rise, imposing onerous restrictions on waterfront development and reducing property values significantly in the process. There have been a number of protests from residents in the Central Coast areas (see here, for example) over these alarmist and unnecessary policies. Support local councils by providing information and expert advice on sea level rise relevant to their local area. 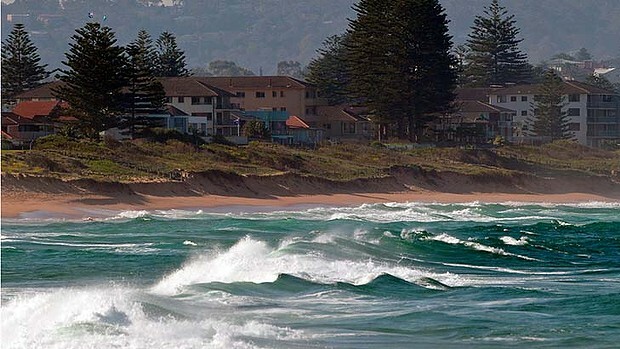 Given the expected ongoing release of new and updated sets of global climate models and projections, work should begin on establishing the appropriate framework for deriving updated sea level projections for NSW coastal locations and then refining these projections as yet further model outputs become available. Considering the rapid pace of advancement in scientific understanding and computational and modelling capacity, and the improvement and lower costs of sensors, the NSW sea level rise projections should be reviewed at frequent intervals including at such time as the release of major new data for future climate projections. Sea level rise projections for the NSW coast should be reviewed through a process of formal consultations with experts in fields including climate science, geotechnical engineering, oceanography, atmospheric science, mathematical modelling, statistics, computational science and computer engineering. Perhaps the first sign of a return to sea level sanity? Nice to see geotechnical science being consulted. Perhaps they’ll next include an engineering geologist. Monthly mean sea level data for Fort Denison can be found here, taken from the Permanent Service for Mean Sea Level website here. Whilst it is true to say there has been an upward trend in the data over the past 100 years, it can also be true to say that the current sea level is the same as in 1914 and no movement outside the normal variants of 1cm over 100 years, but then again let’s not get the truth in the way of defending the ‘Cause’! Great news for the victims of the previous NSW Labor Coastal Destruction Act, I will reserve final judgement until the review is released, however Minister Hartchers comments are certainly a step in the right direction. The adoption of IPCC global computer projections at the exclusion of local data was a disaster for coastal communities, local data indicates absolutely no increase in the rate of sea level rise, this is not to say that NSW has no immediate problems, the residents of identified coastal erosion hot spots deserve support and if technically possible these properties should be defended. You ask is sea level sanity returning? At the end of the day warmist scaremonger scientists can only say what”might” happen if their trusty computer models are accurate. Its hightime governments wised up and put all this climate change stuff in the “we”ll keep an eye on it ” department where it belongs. If anyone builds a house anywhere they should be aware of possible dangers, whether these are from bushfire, river flooding, sea level rise or other cause. But we are ridiculously over regulated and people should research the dangers themselves. It is important that we have the facts available to do this, but just as we should be able to make up our own minds, if we are warned about possible dangers, and still go ahead and build, we should not expect the government to bail us out if, for example, the sea does rise as much as was predicted by the alarmists. I am not a AGW fan but let me pose an assumption, I would appreciate your opinion. If as our PM states Global Warming is caused by humans, and the 22 Million Australians are to blame for its consequences including sea level rise, why shouldn’t the relatively small number of Australians affected have a claim against the 22 Million Australians that caused the problem via the Federal government ( as the elected representative of every Australian) ?. If a person believes in the “science” of the IPCC ( not suggesting you do ) then surely the above is hard to argue against ? Yes we are a society and we look after each other. However, I was referring to people who build close to the sea after getting warnings from scientists that there is a real danger of sea level rises threatening houses that close to the sea. They might not think these scientists are correct, but if they accept the risk and build the houses, they need to face the possible consequences. I was suggesting that allowing these people the choice is preferable to excessive government control. The Liberal’s return to sanity is fast becoming an exercise in washing their hands of the issue and returning responsibility to councils, the NSW planning Green Paper has a proposal for time limited development consent which is simply another form of permissive occupancy, possibly acceptable on green field development but is unacceptable if used retrospectively on current communities. Gosford Council for one seems fixated on policy that attacks property rights and causes community concern and damage to property values despite having a proposal for a defensive strategy that can be financed over a 50+ year period that would give surety to the community. It is a case of the cure being far worse than the ( potential ) problem .